They look great hanging up. Did you receive any awards? no awards. no judging. 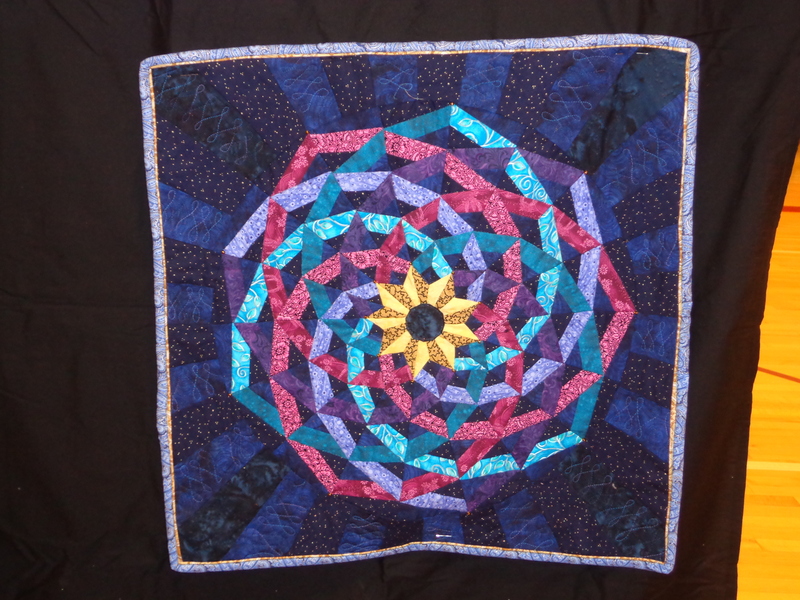 free to show any good or bad quilt (not that there are bad quilts). There is a viewer’s choice award and that is all. 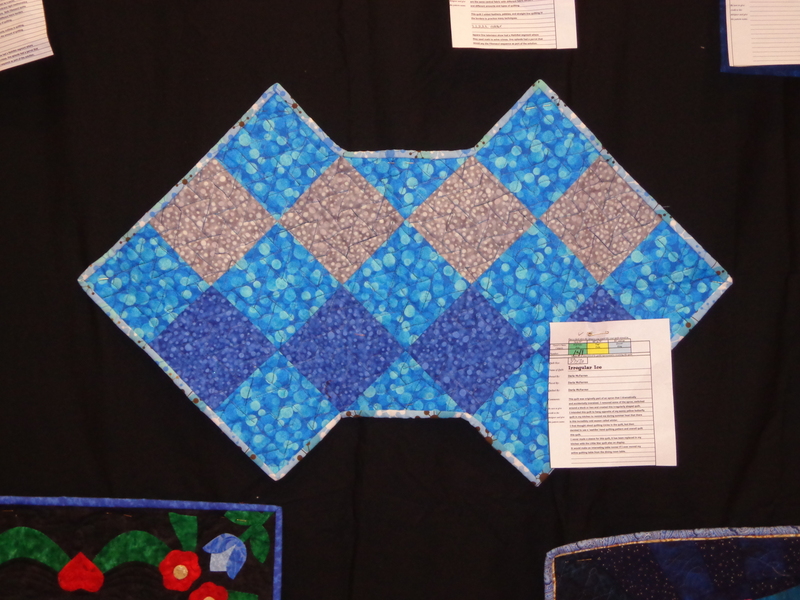 I got 5 votes for my exothermic quilt for viewers choice sadly. 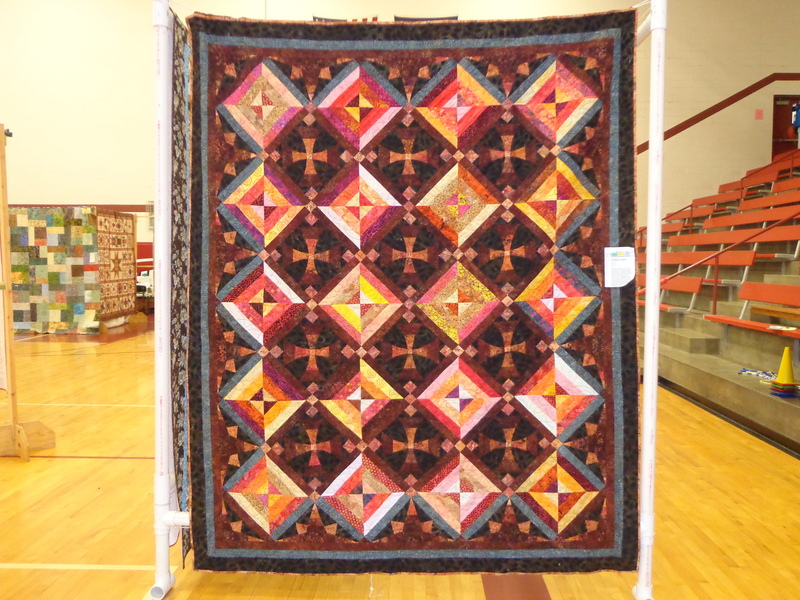 At least it was displayed near the front and you could see both sides of it as I asked. 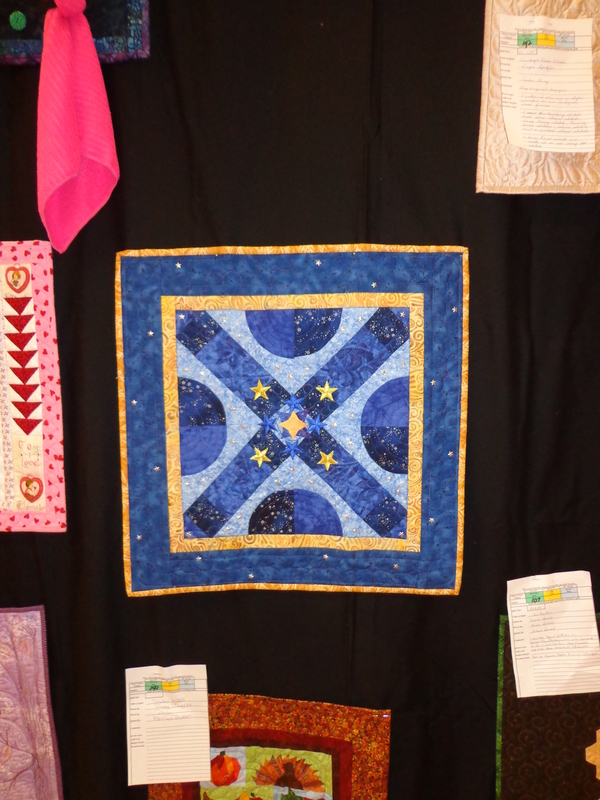 Your quilts are beautiful Darla. You are definitely an artist. Dancing Ribbons is my favorite. I hope you are proud of what you’re showing here, Darla. 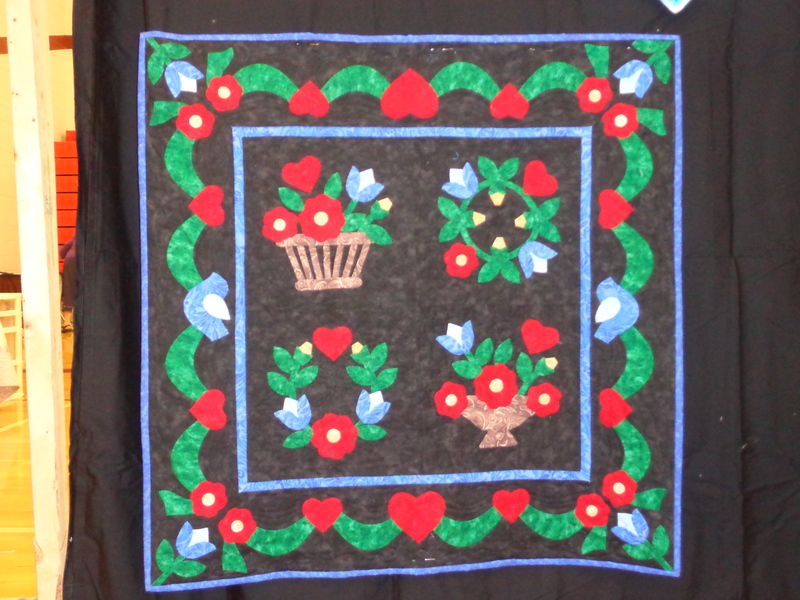 It seems Iike much of you goes into your quilts, spirit, thought, process. It’s good to see them together here. 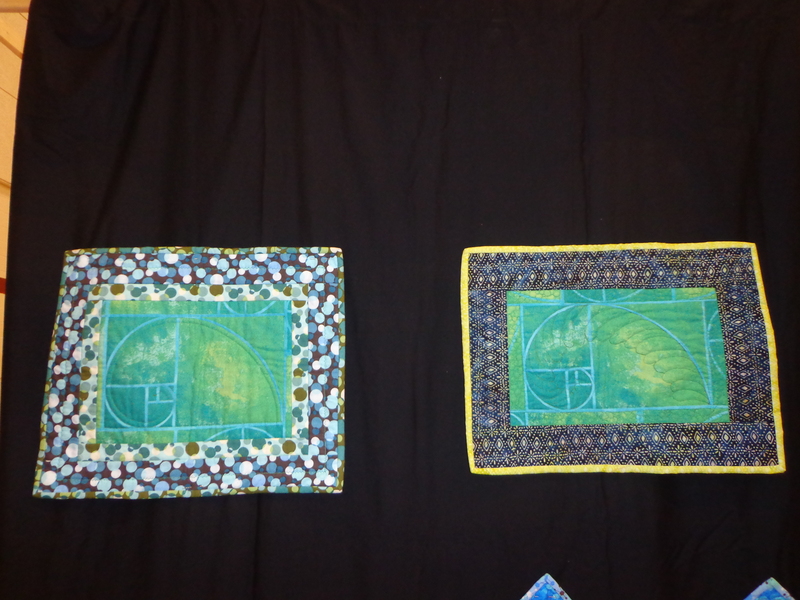 I never realized how much I would put into my quilts, how much I would overwork and overthink, but how much I would enjoy both of those processes anyway. Thank you! 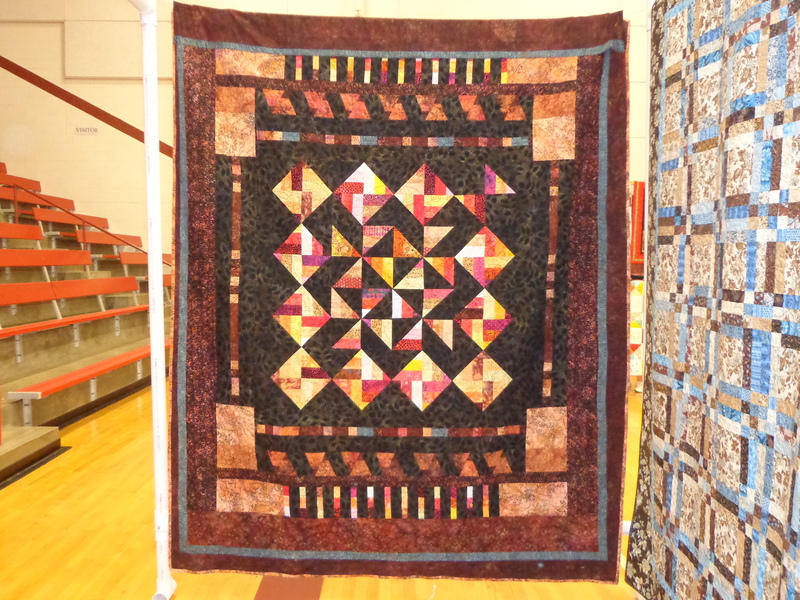 Darla, I am way behind reading blogs, but I’ve really enjoying seeing all these pictures, others’ quilts and yours. 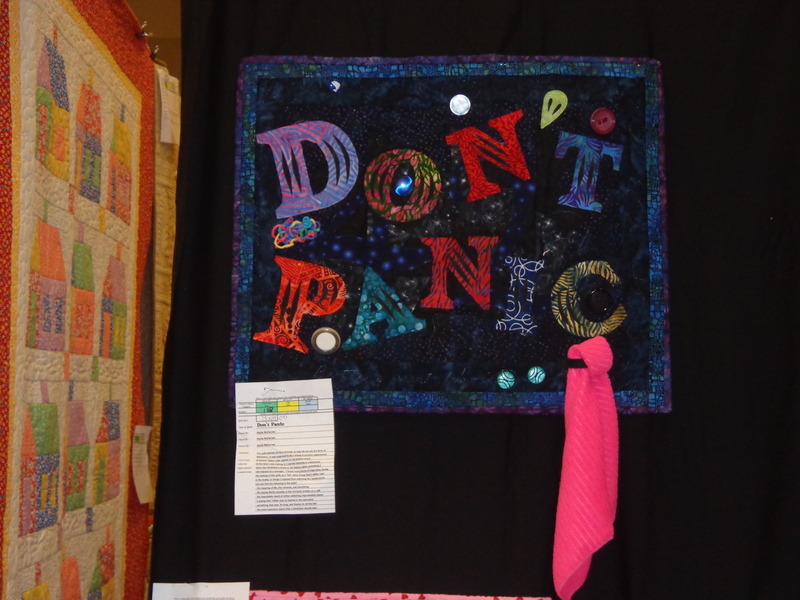 “Don’t Panic” is my favorite. It’s gotten me interested in reading the books one of these days.